Phil Robertson is an American professional hunter, businessman and reality tv star. 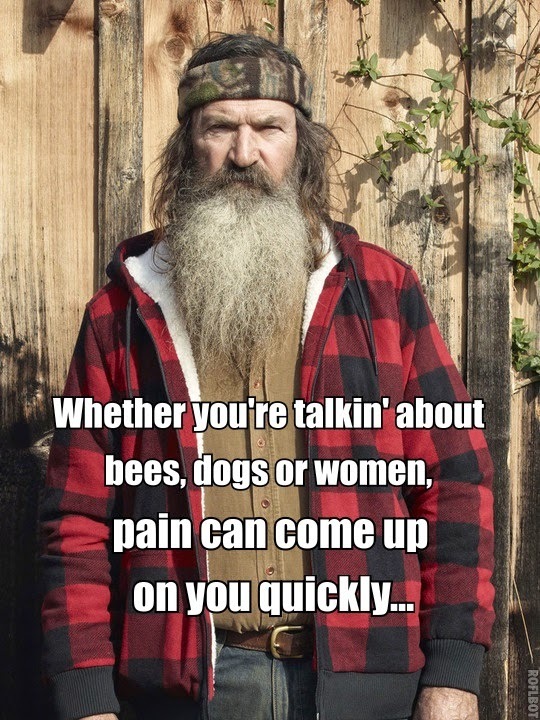 Here I have compiled down some of the best Phil Robertson quotes life, happiness, and women, just hope you will like them. If I were in politics, and if you ever get me in the White House, trust me, there's a big change coming. What happened to America? We lost our roots. I've been on this earth for sixty-six years, and I've reached a conclusion and it's a fact: women are strange creatures. Our founding fathers started this country and built it on God and His Word, and this country sure would be a better place to live and raise our children if we still followed their ideals and beliefs. If men were in charge of carrying and birthing our babies, we'd have a lot fewer people on Earth, because we'd only do it once- I can promise you that! Everywhere my sons and I go, we're telling people the good news about Jesus, blowing duck calls, and making people, happy, happy– then down the road we go. Let me tell you something: I salute womanhood worldwide, because women are exceptionally tough for enduring the misery of childbirth. I've cleaned hogs and gutted deer, but in my experience on Earth I've never witnessed such a brutal event.